This paper examines the notion of ‘competence’ in the VET systems of France and England. While both countries have developed ‘competence-based’ approaches, underlying the similar terminology are distinct meanings, rooted in the countries’ institutional structures and labour processes. A key distinction is identified between a knowledge-based model in France and a skills-based model in England. Competence in the French sense is multi-dimensional and relies on the integration of practical and theoretical knowledge, as well as personal and social qualities within a broadly defined occupational field. By contrast, in England, competence refers to the performance of fragmented and narrowly defined tasks, with minimal underpinning knowledge. Thus, whereas ‘competence’ in the English VET system usually denotes functional employability for what may be relatively low-skilled employment, in France, it encapsulates the multi-dimensional development of the individual as a citizen as well as an employee. Brockmann, M. (2007). 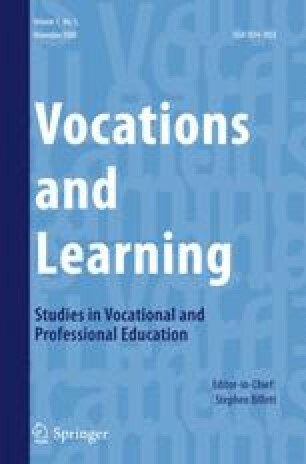 Qualifications, learning outcomes and competencies: a review of European divergences in vocational education and training (VET). Literature Review. http://www.kcl.ac.uk/content/1/c6/01/57/15/literaturereview.pdf. Fuller, A., & Unwin, L. (2003). Creating a ‘Modern Apprenticeship’: a critique of the UK’s multi-sector, social inclusion approach. Journal of Education and Work, 16(4). doi: 10.1080/1363908032000093012. Steedman, H. (1998). A decade of skill formation in Britain and Germany. Journal of Education and Work, 11(1). doi: 10.1080/1363908980110105.